3. The product colot is silver. 1. 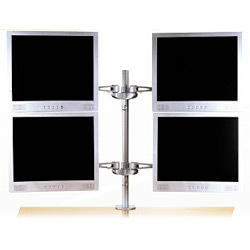 The LCD mounting arm is designed to support 4 screens up to 26" from one pole.